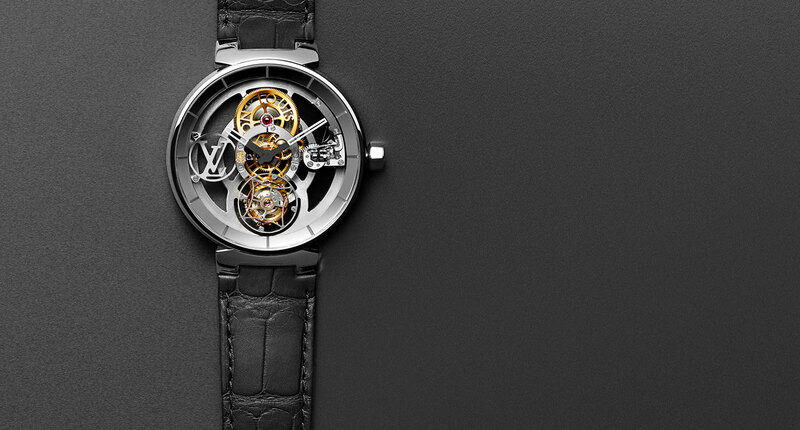 Including a top of the line flying tourbillon with three-day power reserve. 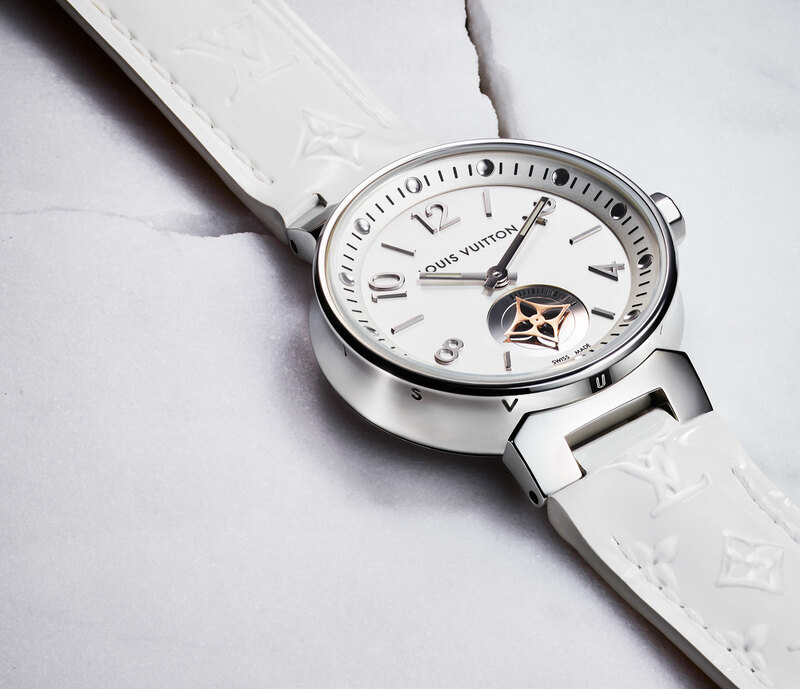 When Louis Vuitton first started making proper mechanical watches it conceived the Tambour – “drum” in French – as the signature case style of the brand. Unveiled in 2002, the design has now evolved into the Tambour Moon, with tighter lines and a cleaner look. While still resembling a drum, the Tambour Moon is wider and slimmer, while having an unusual concave case side, instead of the upwardly sloping flanks of the original. 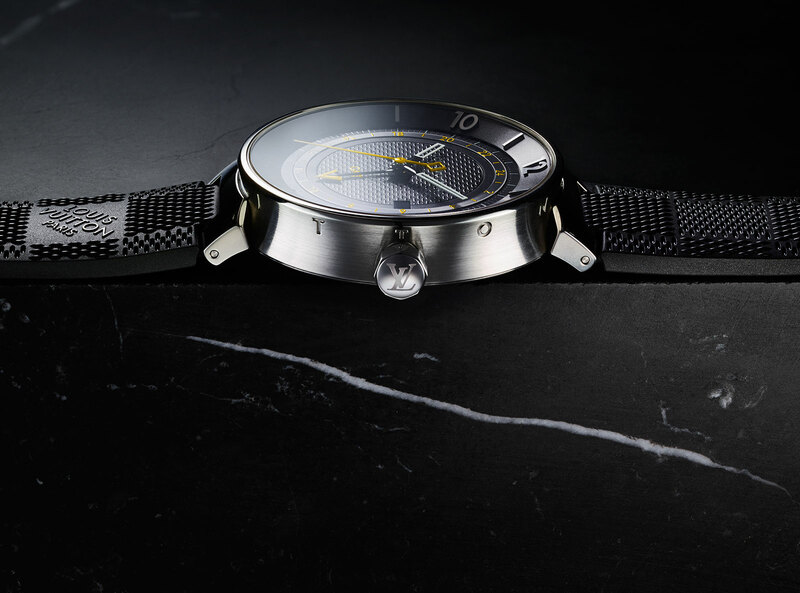 And the Tambour Moon watch case also has a quick-release catch to easily swap straps. 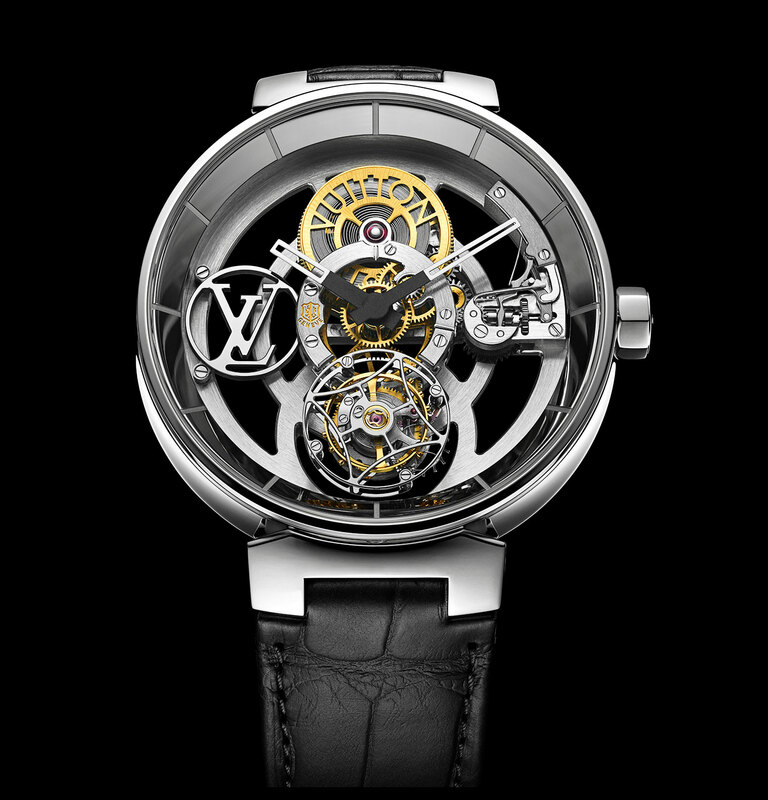 The new case is available in a variety of models, with the flagship model being the Tambour Moon Flying Tourbillon “Poinçon de Genève”, equipped with an in-house, manual-wind movement. 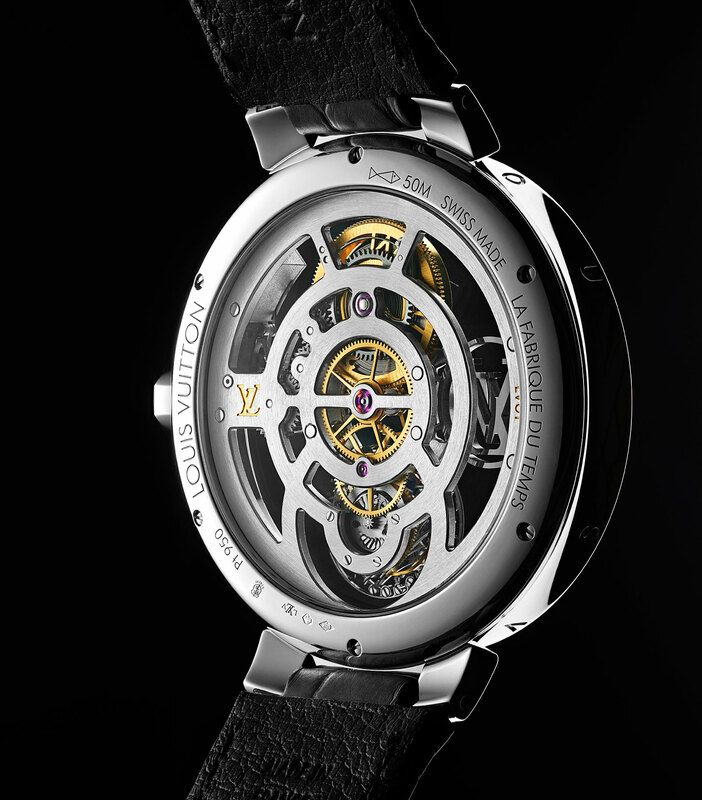 Developed by La Fabrique du Temps, the Louis Vuitton subsidiary in Geneva responsible for complications like the Escale Worldtime, the LV 97 movement has a one-minute flying tourbillon with a cage shaped like the brand’s signature Monogram flower. 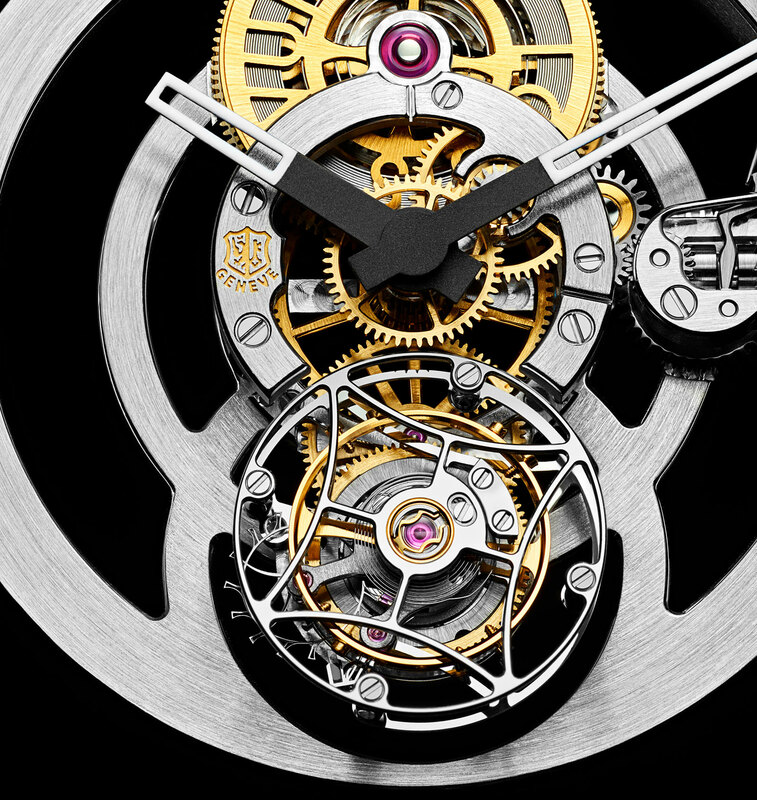 Arranged in the conventional linear manner with the barrel at 12 o’c’ock and tourbillon at six, the movement has been conceived with the bridges and base plate as concentric circles, and entirely open-worked, revealing the single barrel at 12 o’clock that delivers an 80-hour power reserve. 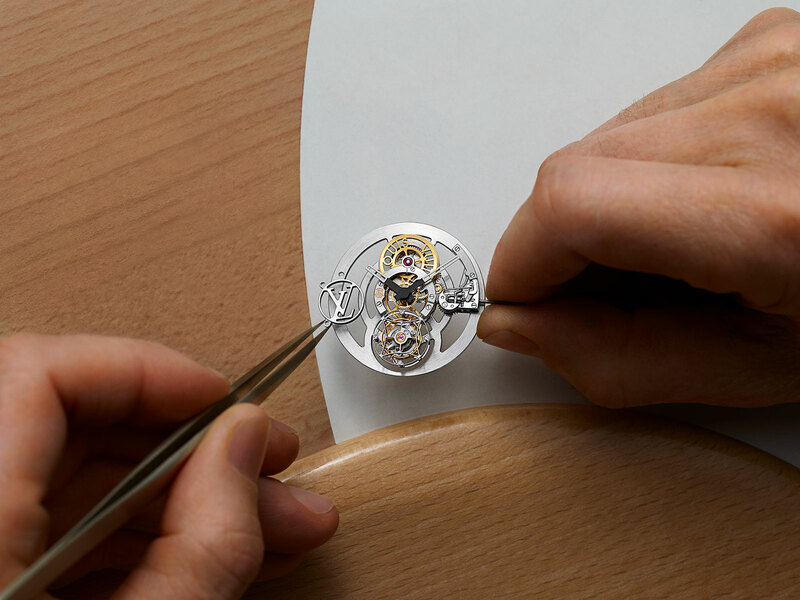 Like Louis Vuitton luggage, the watch can be personalised in several ways, most notably with a bridge in the form of the owner’s initials that’s screwed onto the front of the movement. Available only in platinum, the Tambour Moon case is 42.5mm wide and 9.65mm high. 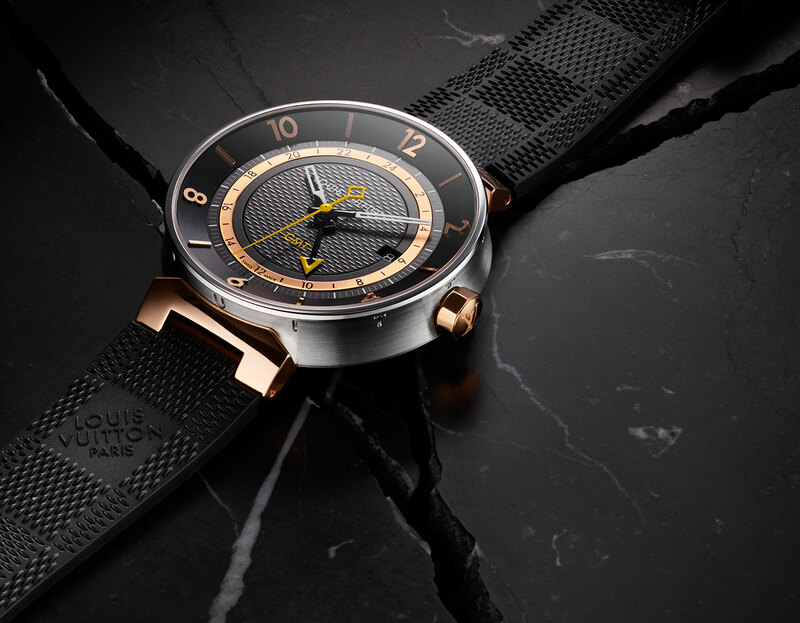 More affordable is the Tambour Moon GMT, available in steel or two-tone steel and pink gold. It’s 41.5mm in diameter and powered by an automatic ETA movement with a second time zone function. 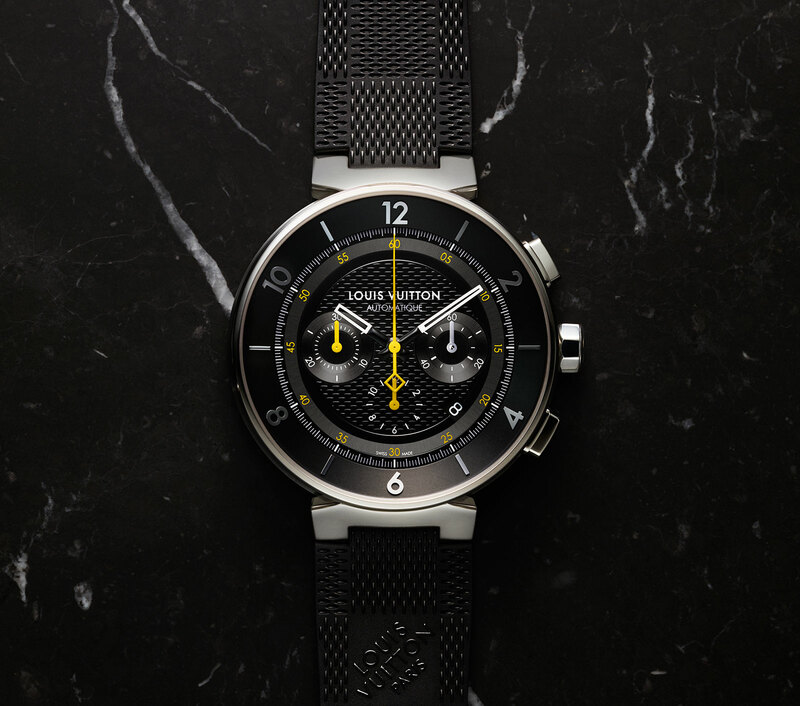 The Tambour Moon Chronograph is the largest of the range, 44mm in diameter and powered by a self-winding ETA movement with a chronograph module on top. It’s available only in steel. And the Tambour Moon range also includes a variety of ladies’ watches, all of which are quartz. They range from 28mm for the Tambour Moon Star Second to 39.5mm for the ladies’ chronograph. 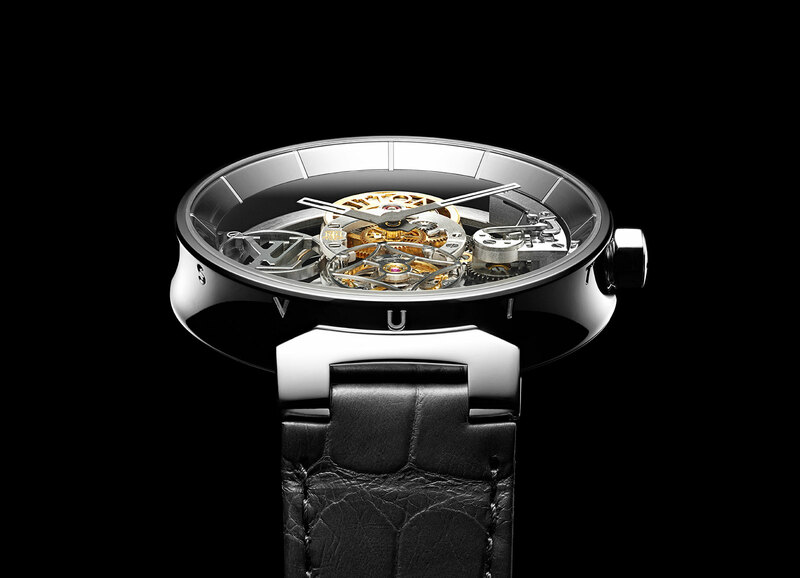 The Tambour Moon watches will be available at Louis Vuitton stores starting June 2017, with the tourbillon being made to order. Prices have yet to be announced.